Musings on Realities: I Organized My Fabric Cupboard! 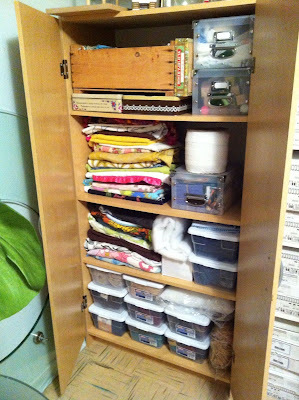 I Organized My Fabric Cupboard! The title says it all! 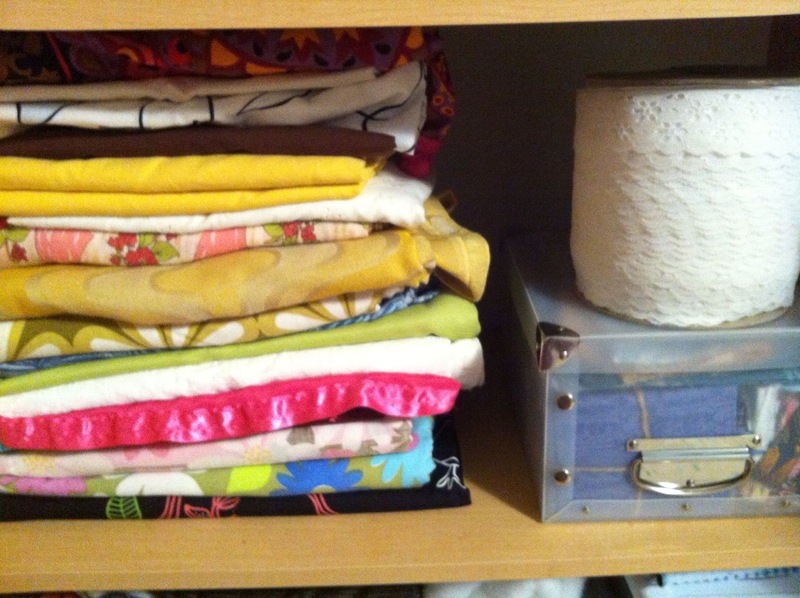 I spent a few hours this weekend folding, sorting and organizing my fabric cupboard! I'm so happy with how it looks. The cabinet is a $20 craigslist find and the wooden box holding the fabrics was on the side of the road! This wooden box makes me swoon! I carefully folded all of my smaller pieces of fabric and lined them up so that I could see them all. Perfect for grabbing a pattern or colour that I need when I'm making journals! I love this photo. the fabrics are so lovely and the lace just adds a little touch of femininity! Greetings from Australia! 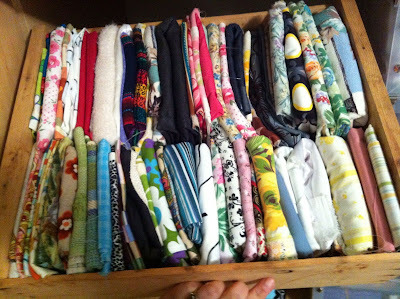 Lovely way to manage your fabric stash Shannon. Oh that mine was small enough to fit in a dear little cupboard and a cute box.